Ever since the Backstreet Boys announced their Vegas residency, it’s like they are everywhere, and let me clear. I am not complaining. I have been a fan of the boys since I was 6, and I have seen them 8 times in concert. That’s right, even when they weren’t very popular, my mom and I would still go and see their show because their music is great and they are incredible performers. That’s right. They sing, they dance, and they entertain which is exactly what you want out of a band. Last night on their publicity tour, they swung by James Corden and it was perfect. This solidifies his spot as my favorite late night host, that’s for sure. He could easily go in as the sixth member of the group. Also, his little speech about how boy bands are supposed to act? Yeah, I am all about that. One Direction was a boy band yes, but they weren’t a BOY BAND, you feel? Yes, they are boys, they can all sing well, but they don’t dress alike and they don’t dance, not a true boy band. Watch the performance, pray for Brian’s voice, and just dance in your chair like I did at work. 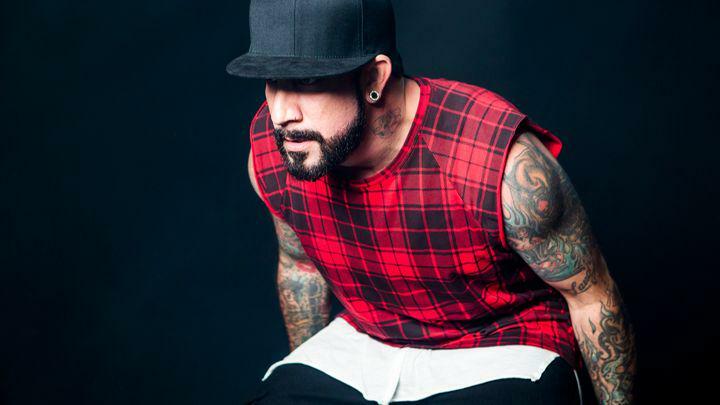 Backstreet Boys’ AJ McLean Releases Solo Song “Live Together”! Alright, if you have followed my blog at all you know how much I love the Backstreet Boys and how they can do no wrong. I am serious. I have bought every single album and I have seen them live 8 times. If you ever want to talk about the Backstreet Boys tweet me @willikilliams. Anyway back on the subject! The resident former badboy turned adorable father AJ McLean released a solo song called “Live Together” and I am a fan. I like it. I like it a lot. Let’s be real AJ’s voice is insanely good and I love the message of the song and video. I love this song, I think that AJ is incredible. Truthfully anything that any members of the Backstreet Boys do, I will support. I mean a bought a Christian record for Brian, so clearly I will do just about anything for them. Posted on October 6, 2015 May 18, 2017 Categories Celebrities A-JTags 2015, AJ, AJ Mclean, backstreet boys, solo project, The Backstreet boys1 Comment on Backstreet Boys’ AJ McLean Releases Solo Song “Live Together”!